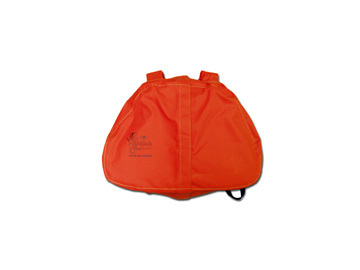 The flexible Ensolite® foam flotation pads cover a minimum body area to increase ventilation and promote freedom of movement. 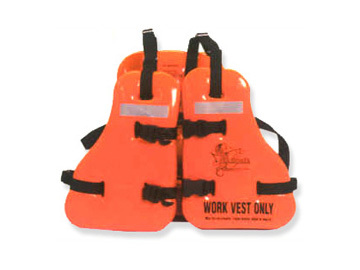 The WV-9-C life jacket can be easily adjusted to fit most adults. This vest uses flame resistant webbing, thread, fabric, and stainless steel hardware for durability. The low profile front pads allow room for a welder's mask. 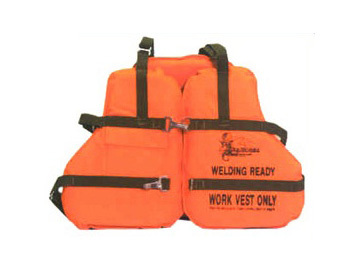 To help compensate for equipment or heavy clothing the user might be wearing the buoyancy of this Seahorse Work Vest is greater than the USCG minimum. 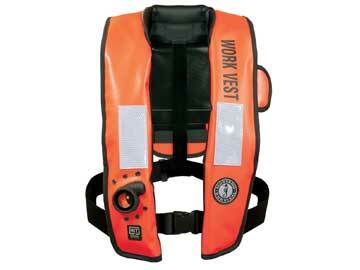 The innovative chest strap helps to hold the vest on the wearer during falls into the water and prevents the vest from riding up too high. 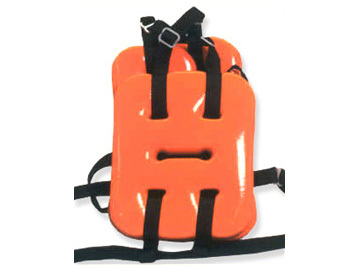 Unlike other PFD types of hardware, the plastic side release buckles won't accidently come undone or become a snag hazard. 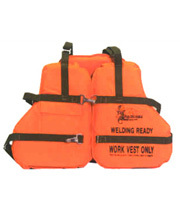 This work vest has a slot in the back to facilitate wearing over a fall restraint harness. 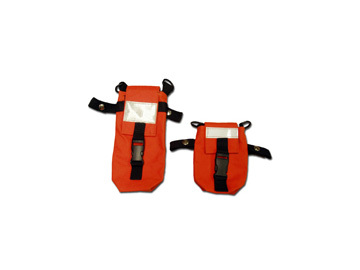 Seahorse arrangement allows the snap hook and lanyard to be worn comfortably outside the life jacket. XL/2XL 62" - 68" 61" - 67"
4XL/6XL 80" - 92" 79" - 91"
The WV-9C Specification Sheet is a pdf file. If you are unable to open it you will need to download the latest FREE version of Adobe Acrobat Reader.